Connacht Women's Invitation Cup:Castlebar Ladies 31, Tuam 0Fantastic home win for the ladies with tries from Ursula Sammon (3), Lisa Carroll and Jen Keegan.Fair play to the Tuam ladies for allowing the change in fixture from Sunday.Connacht Junior League 1B:Castlebar 41, Balinrobe 6Massive home win to kick of the men's team's league campaign with tries from Gavin Sullivan(2), Conor Tuohy, Luke Staunton, Paul Coady and Nigel Byrne!Next up for them is Creggs away next Saturday(23rd), k.. It's still not too late to join up!Training runs from 10.30 to 11.45 every Saturday morning until March. There will be blitzes with local clubs throughout the season along with the bigger Connacht blitzes at the end of the season! 2 big home fixtures to keep an eye out for starting tonight! 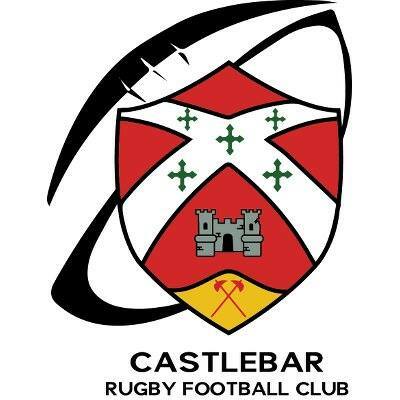 Connacht Womens Invitational Cup:Castlebar Ladies vs Tuam Ladies, in Castlebar Kick-off 8pm!Friday 14th:Connacht Junior League 1B:Castlebar vs Balinrobe, in Castlebar, Kick-off 8pm!All support for both games is greatly appreciated! Cawley Cup semi-final:Westport 7, Castlebar 11A great win from a very physical game in Westport with a try from Conor Tuohy and penalties from Ronan Conway. Man of the match was Mark Staunton.This win sees the men's team through to their first Cawley cup final since 2010, when they take on the winners of Monivea vs Ballina in December!Keep an eye on this page for more details! Cawley Cup Quarter-Final:Connemara 24, Castlebar 34Great win on the road for the mens team sees them through to the semi-final this weekend with tries from Sean Tonra, Martin Moran, Conor Tuohy, David Staunton and Mark Staunton, with conversions by Ronan Conway.Next up for them is the Cawley Cup Semi-Final this Saturday night away to Westport, Kick-off 5:30pm!Connacht Invitational Cup Pool 2:Tuam 15, Castlebar 47The ladies had their first game of the season away to Tuam and won impressively with.. Winner of the 50/50 lotto draw held in Tolster's last Friday was Dermot Fadden. Castlebar Mini Rugby is back for all girls and boys ages 7-12. Training starts this Saturday 9th of September at 10.30-11.45 and runs every Saturday morning until March. There will be blitzes with local clubs throughout the season along with the bigger Connacht blitzes at the end of the season.There is a registration and information evening tonight from 7-8 in the clubhouse for everyone to meet the coaches and learn all about mini rugby. All children are welcome to give it a try for a few weeks. Friday 28th:Castlebar Tag Rugby finals night is on out in the clubhouse (fixtures below), the bar in the club and shower facilities will be available on the night. After the matches all players are invited to Paddy Moran's pub in town where the rest of the finals night will take place. Our monthly club 50/50 lotto will also take place in Paddys with the event starting from 10pm.Saturday 29th:The Club will be hosting the first Connacht U20's blitz of the summer, with a barbecue in the clu..
Connacht Rugby Summer Camp is back by popular demand for 2017 in CastlebarThe Camps take place over five days from Monday 17th July to Friday 21st July for boys and girls aged between six and 12 with no rugby experience necessary to attend.The Connacht Rugby Summer Camps are an introduction to the game of rugby in a safe and controlled manner and will be managed by fully accredited IRFU coaches who will guide the children through fun games and activities over the five days.The Camps cost just &e..
©2016 CastleBar Rugby All rights reserved.